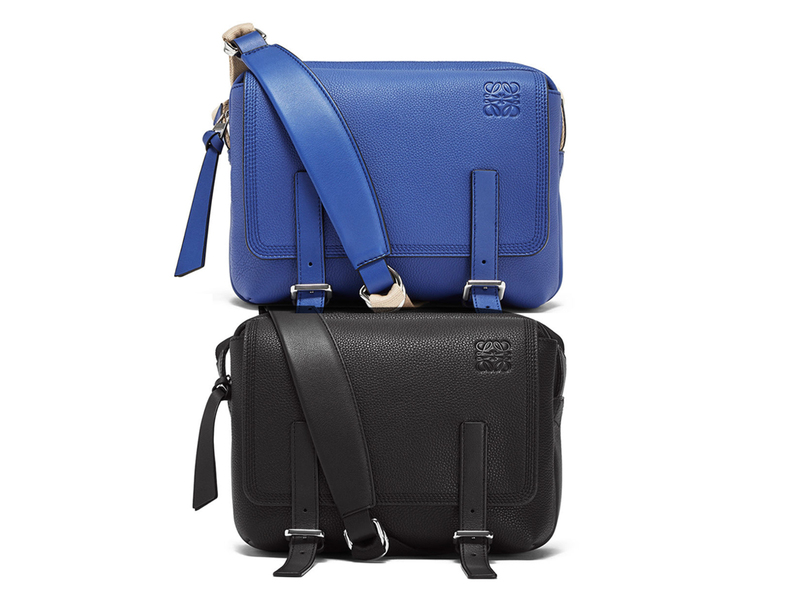 Loewe has been releasing bigger-sized bags like briefcases and rucksacks, even seasonal variations of the Puzzle XL for men in recent months. Which is why it’s refreshing to see something small and compact from the Spanish luxury brand. Meet the Military Messenger XS Bag which is now available for purchase online or in boutiques, giving you guys an all-new option if you’re looking for smaller bags that are definitely on trend now. Essentially a classic messenger bag that’s furnished with several compartments and inner pockets to keep you neat and organised, it’s pretty much perfect for the guy who loves to carry a whole lot of stuff without lugging a big bag around. In a soft grained calfskin exterior, you will find the Military Messenger XS Bag available in 3 different colour options. There’s a single-toned Black or Pacific Blue, as well as a tri-coloured combination that’s simply known as Dark Taupe/Desert. Undo the double buckle fastening, lift up the fold-over flap, and you will find two distinct compartments lined with Loewe’s signature herringbone-patterned cotton-canvas lining. The first comes sans zip, which is great for slotting key essentials like a portable charger or even a tiny notebook and pen. The second compartment that’s closer to the back comes with a top-zip closure, to keep important essentials like a wallet or cardholder secured within. Measuring 24.5 cm by 18 cm, the bag weighs just 0.525 kg (pretty light for a bag that comes in leather), is furnished with a long strap that can be extended up to 153.5 cm long and is priced at just SGD1890. Practical and sleek, this is one piece that will pretty much become a Loewe classic in no time at all. For the most of men this is the perfect bag. The size, the leather and the colours. I expect Eye Loewe Nature collection is already in SG?